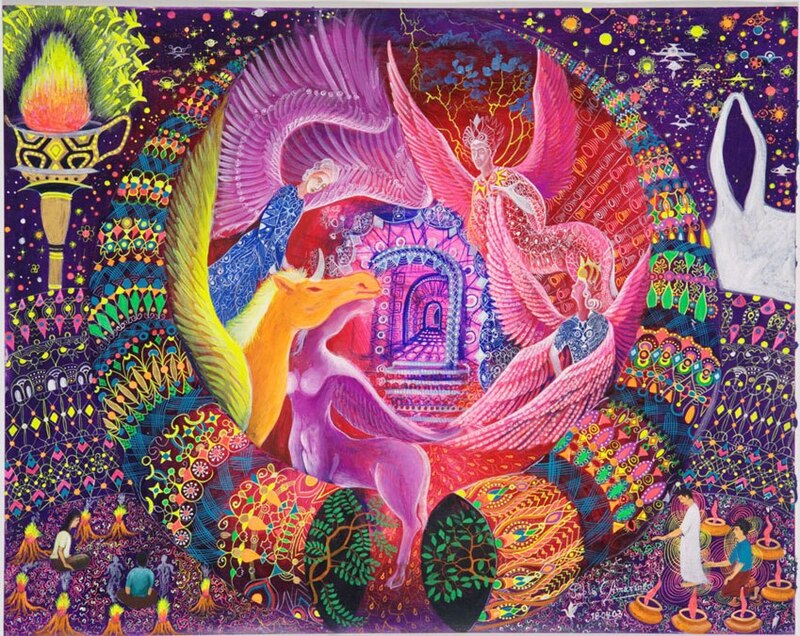 Pablo Amaringo is renowned for his intricate, colourful paintings that are inspired by his shamanic visions. 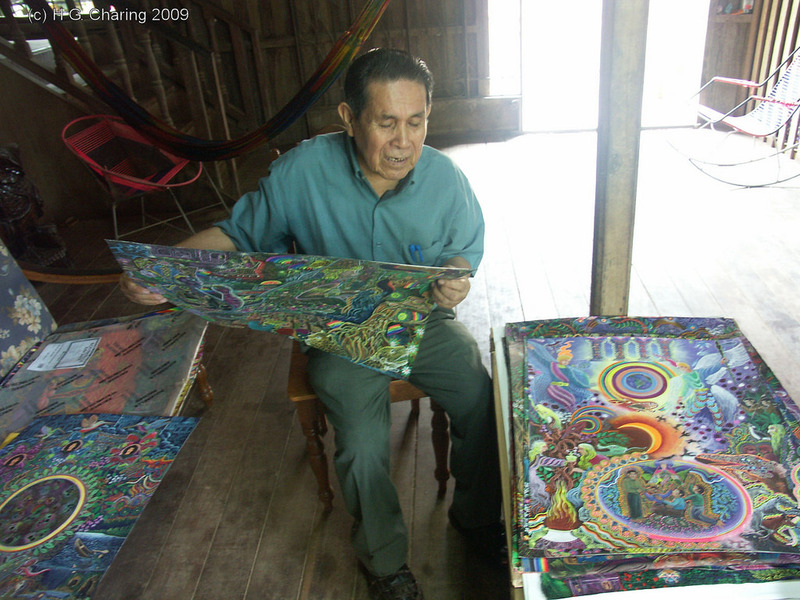 He was a master communicator of the ayahuasca experience. 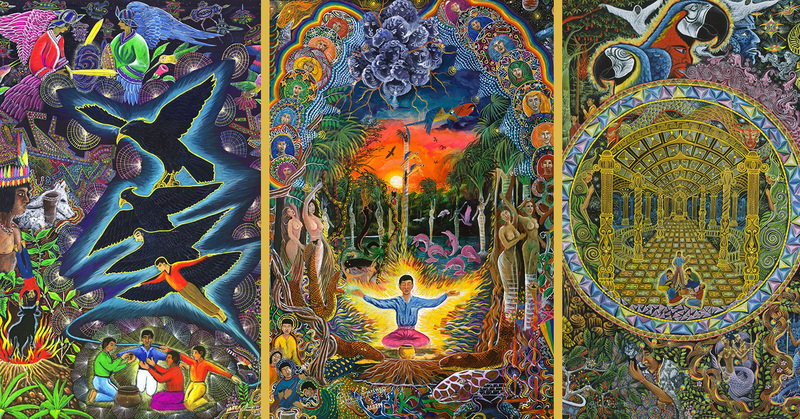 The outside world was first introduced to the work of the Peruvian artist Pablo Amaringo with the 1991 publication of the book Ayahuasca Visions: The Religious Iconography of a Peruvian Shaman, and since then he has been recognised as one of the world’s great visionary artists. 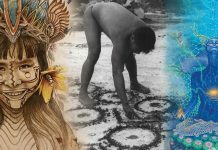 He was entirely self-taught, and able to paint with meticulous botanical precision the Amazonian landscapes and the essential mythic content of his visions. 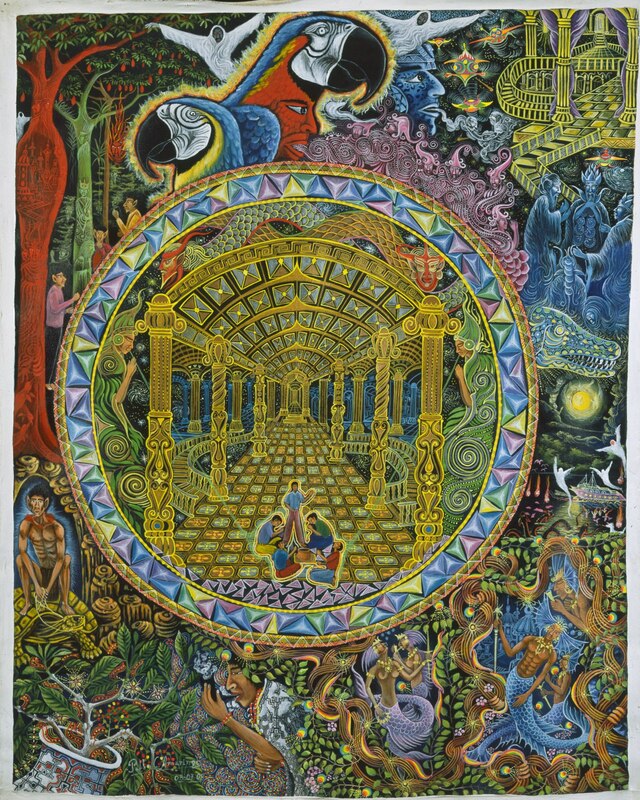 His paintings depict the visions that he received during his years of practice as an ayahuasquero (plant healer), they capture the spirits, sub-aquatic cities, celestial realms, extra-terrestrial beings of great wisdom, sorcerers in battle with shamans, all revealed to him by ayahuasca. 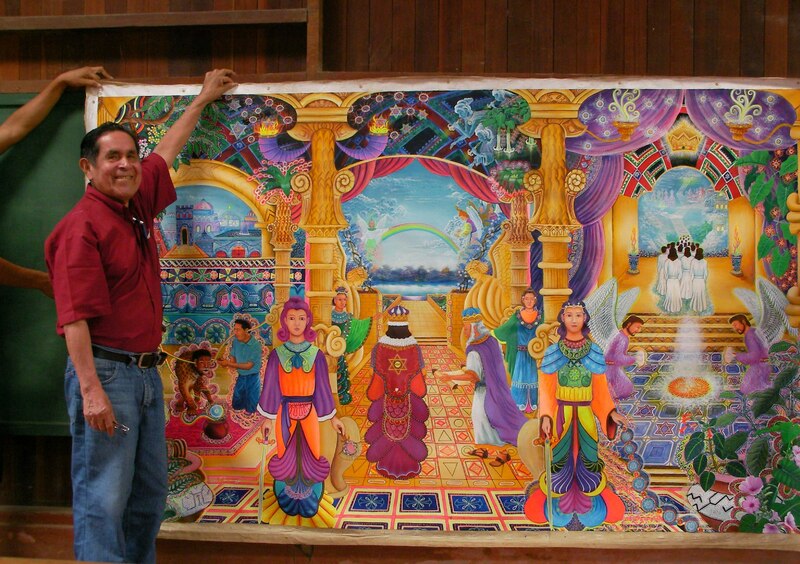 I chant ícaros when I paint, so if ever a person wishes to receive teaching or healing, they should cover the painting with a cloth for two or three months. 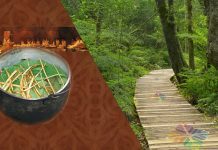 On the day they remove the cover, they should prepare themselves by bathing and meditating. 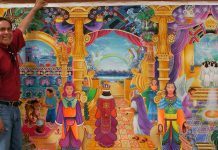 When it is uncovered they will receive the power and knowledge of the ícaros that were sung into it. 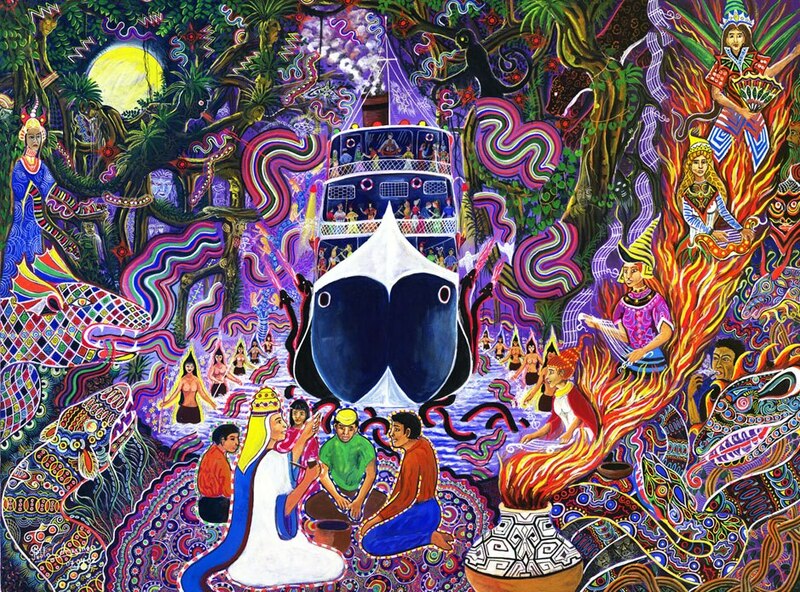 I think it is fair to say that the surge of foreigners seeking out ayahuasqueros in the Amazon, beginning in the mid-1990s, was driven in large part by Pablo’s extraordinary paintings. 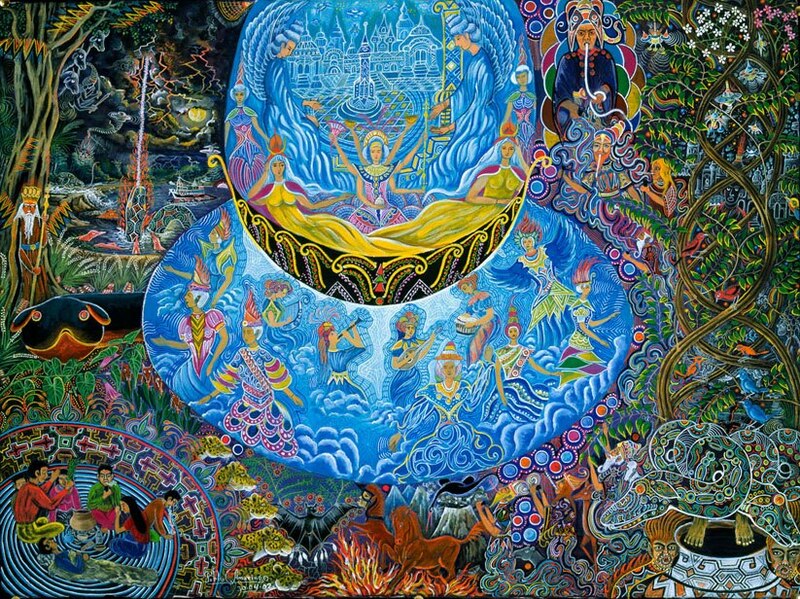 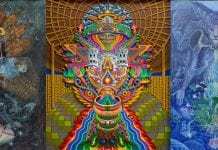 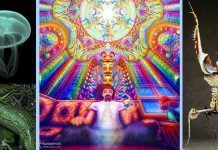 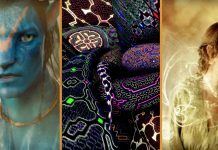 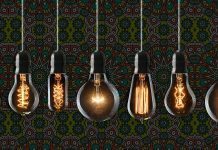 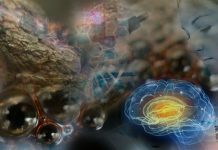 Indeed, as depictions of ayahuasca experiences have grown normative, it may be that in addition to the experience prescribing the art, the art is prescribing the experience. 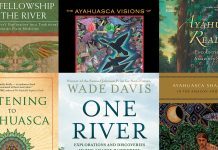 To learn more and to get a copy of the book The Ayahuasca Visions of Pablo Amaringo, visit ayahuascavisions.com. 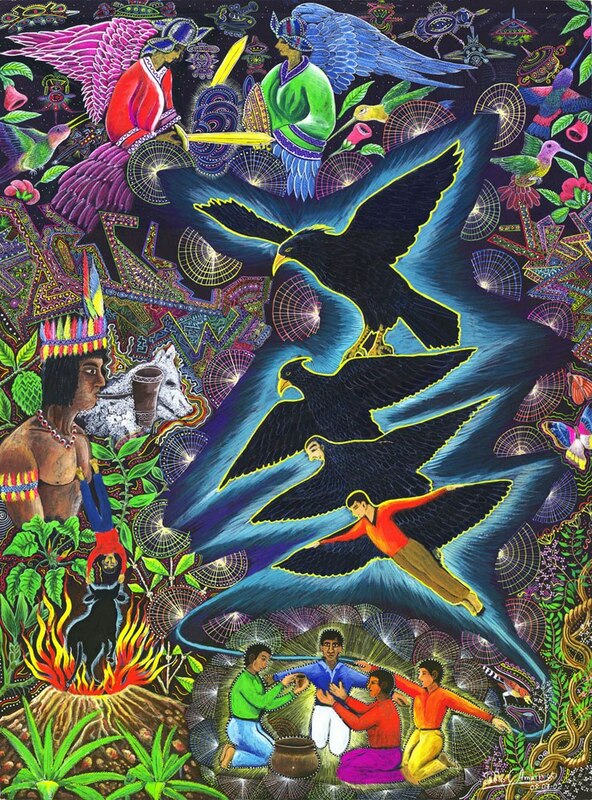 Peter Cloudsley is a musicologist and writer who, since 1980, has created an archive of traditional music and interviews in Peru, collected for the British Museum. 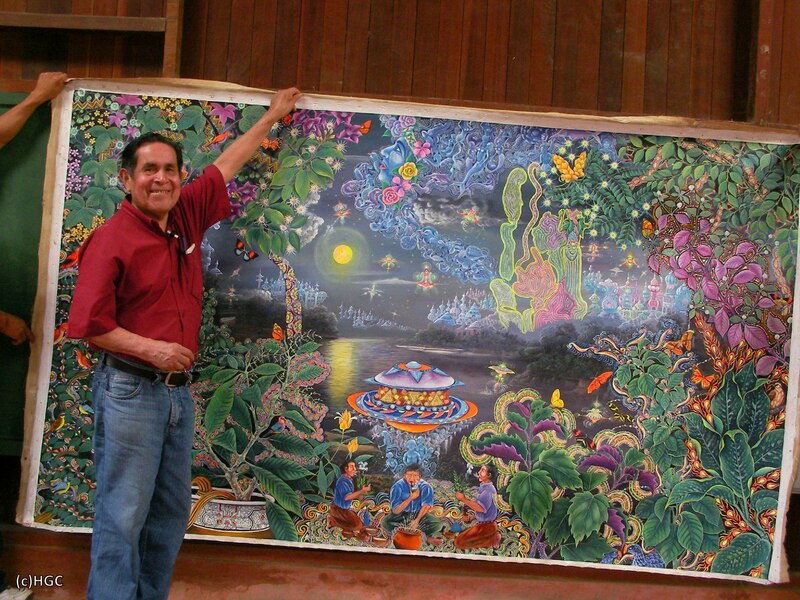 He published "A Survey of Music in Peru" in 1993.